Is Black Friday worth all the hype amongst Marist students? Some say that once Thanksgiving is said and done and you are in a food coma, the Holiday season officially begins. And what better way to begin the holiday season then the combination of Black Friday and Cyber Monday. Electronics, clothes and furniture drop by 20, 30 and even 40 percent leaving shoppers rushing to get the best deals. Shoppers camp outside for days to make sure they are as close as possible to the doors. This Phoenix shopper took camping out to a totally different level. But, do Marist’s students participate in the trend? After talking to some of the Marist Community I got a wide array of responses. “Last semester I took part in a Black Friday sale and I vowed never to do it again,” said Marist Senior Matt Captain. “We didn’t even camp out or anything, but we still rushed the doors with all the other people. Some people lost their minds and people were fighting over TV’s, it was something out of a movie.” Another student says he doesn’t understand why people would ever participate in the event. “I understand the fact that people want to get good deals, but I don’t understand the culture of camping out and trying to break down the doors,” said Marist Senior Vincent Cassous. “In France we don’t have events like these. Sure, some shops do sales but it’s not as intense like this is,” exclaimed Cassous. 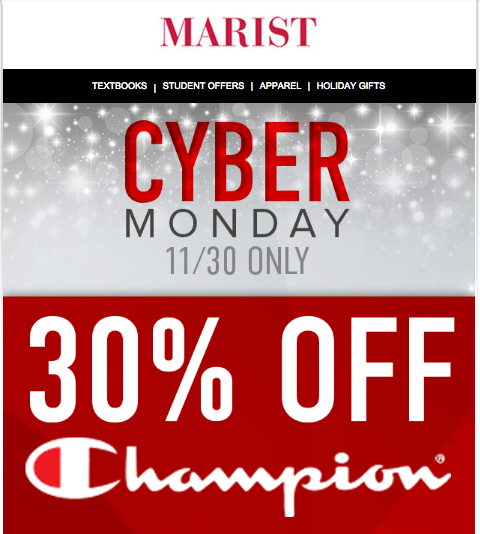 Even Marist is getting involved in the Cyber Monday fun! When further analyzing the deals, I have realized that deals are something that the public savors. Despite the mixed reaction from Marist students, this is the way we kick off our holiday seasons. After having a look at the deals myself, I can understand why the public goes gangbusters. I managed to get involved in the spirit myself. My reward; a nice pair of Beats headphone for a whopping 120 dollars including shipping. 364 more days until Cyber Monday.